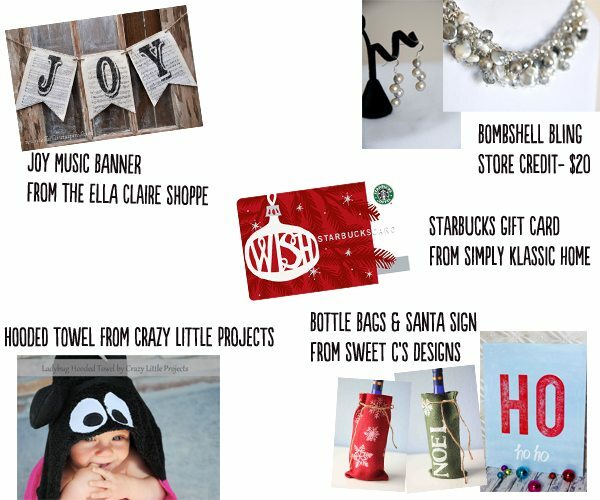 Holiday Craft-Off Week 1- Home Decor! We’re all about Quick Crafts over here. Couldn’t you tell? We’re also all about enjoying the holidays (ok, and going a tad overboard with them…), and sharing our love of other blogs. There are so many fabulous ideas from amazing people out there, and we wanted a fun way to show off some of what YOU have been up to… with some wonderful prizes, of course. This week kicks off our First Annual Holiday Craft-Off! 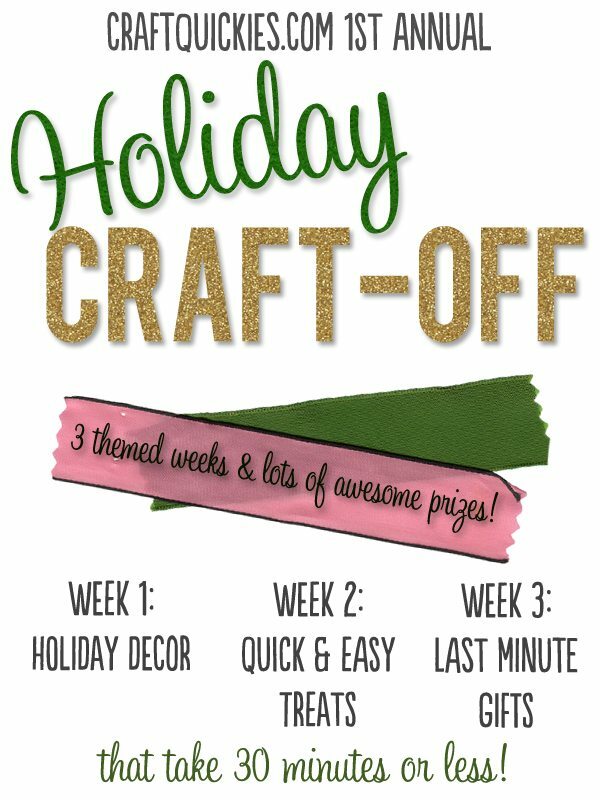 All week long we welcome you to come and link up any holiday home decor projects you’ve made for a chance to win a prize pack full of great stuff (more on that in a minute). and A Hooded Ladybug Towel from Crazy Little Projects (want to learn to make this? watch her blog for a huge learn to sew series coming in January). We want to see what you have- any tutorial, craft or project YOU completed. You must be the owner of the project, and it must not be a link to a shop item… but other than that, anything goes! You can link up as many projects you have, but please take a moment to check out, pin or share some of the others while you’re here! Crafts/tutorials that can be completed in 30 minutes or less (minus drying/glue/etc time) will be given preference, but it is not mandatory. Contest will close next Sunday and winners will be announced after verification (be sure to give us a valid email). This week’s theme is Holiday Home Decor. Your link must fit this theme or will be deleted. ANY winter holiday theme welcome. Ok, show us what you’ve got! Next week we will be opening a call for quick tasty treats, and then the final week we will be profiling easy gift ideas, with all new prizes.. so get your projects ready! How does someone go about entering if they are NOT a blogger? I have a COMPLETELY mine craft that is just too cute. Took approx 30-45 mins (not including the “cook” time for the drying of the polymer clay portion of the project) to complete, start to finish. I’ve taken pictures and can explain what was done each step of the way, just not sure how to go about entering that info into a “link” when I don’t have a blog. Sorry, very new to this whole blog world anyway, so I’m a REAL newbie and need to be hand led thru the basics. Thanks! Hey Lora! Do you have a flickr or tumblr account? Or g+? If you do and can upload it there, we’d love to have you. If not, shoot us an email at craftquickies@gmail.com and we can upload the pic on our end. The more the merrier!!! We would love to welcome you to enter. Thanks so much for the info! I do not have the first two, but I am a g+ member I think. I’ll check on that and if not I’ll just send it all to you. Thanks again!